I needed to verify the installed height and seat pressure of some new valve springs for the Sunbeam. I don’t have a fancy valve spring tester (a Rimac would be nice), so I improvised one with my drill press. I’m not the first person to do this, but I was surprised at how easy it was to set up and how well it worked. I used my existing Craftsman 8-in. 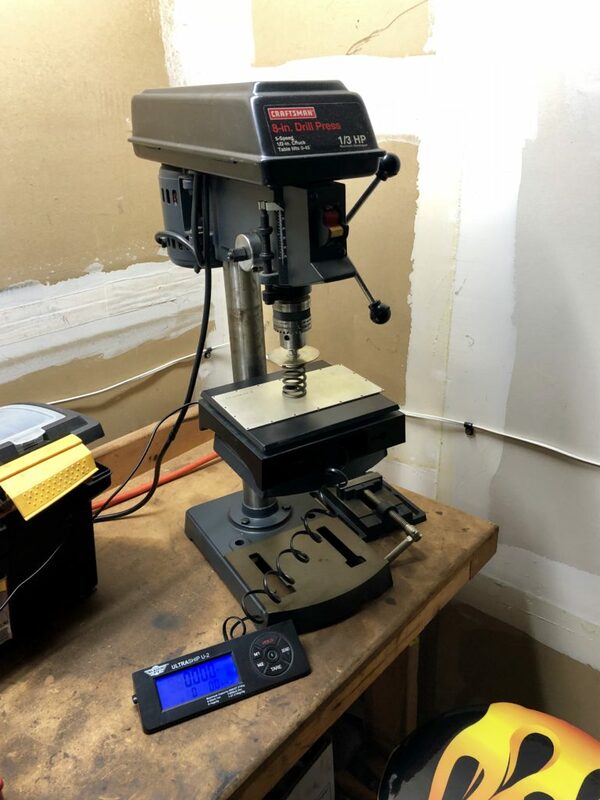 Drill Press, but pretty much any drill press should work. I placed a digital postage scale (mine is an inexpensive Ultraship U-2) on the movable platform (it barely fits). A scrap piece of aluminum helps distribute the spring force across the scale and also prevents the spring from damaging the plastic bed of the scale. 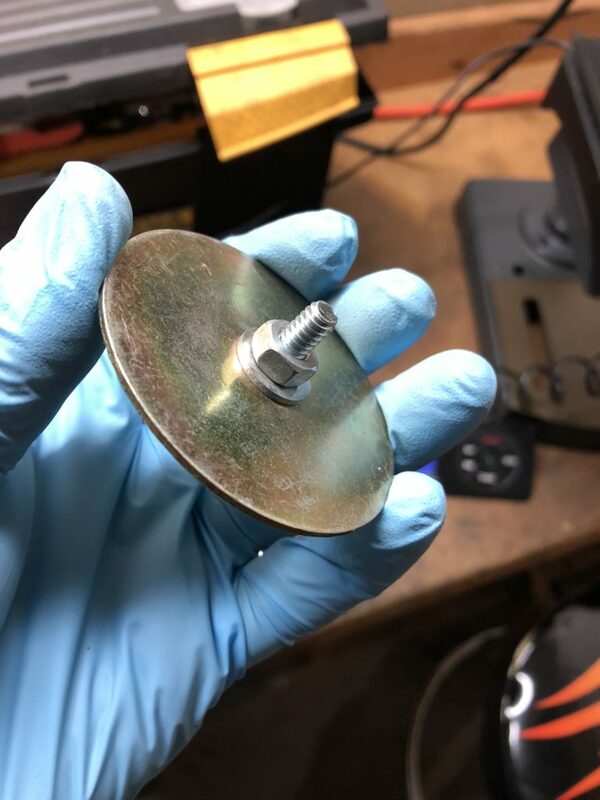 To compress the spring, I made a simple adapter using a 1/4-20 bolt and a large fender washer that was left over from a FLAPS seatbelt kit. I put the exposed threads of the bolt in the chuck of the drill press. Easy. To use this setup, I place the spring on the scale and push the tare button to zero the display. Then I raise the bed until the spring is just about to touch the fender washer. Finally, I pull down on the handle of the drill press to compress the spring. A small ruler can be used to mark the desired compressed height of the spring. Continue lowering the chuck until the bottom edge of the fender washer lines up with the desired mark on the ruler, and then read the spring force on the scale. If you have the ruler resting on the scale, as shown here, don’t forget to include the ruler when you tare the scale (or just ignore the small error it introduces). I wouldn’t expect better than +/- 1 lb. 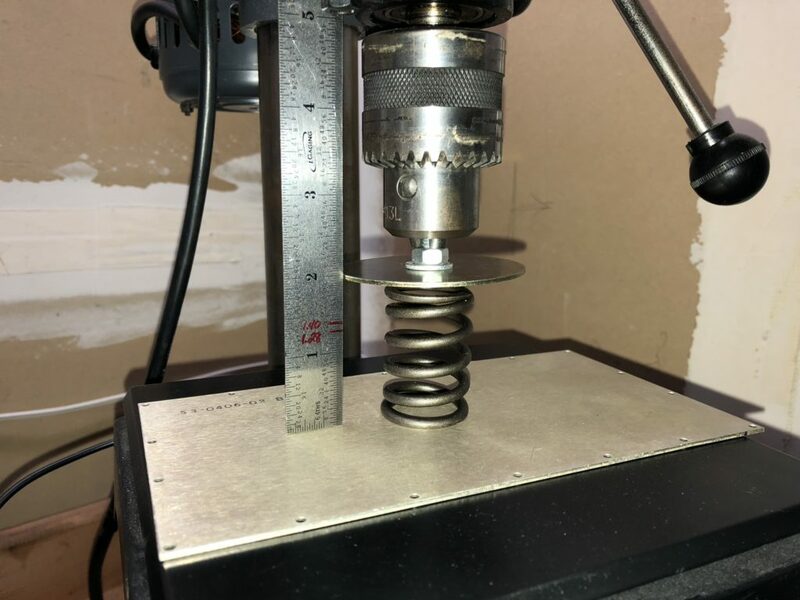 accuracy with this setup, but it works very well for my purposes and helped me confirm that the spring forces and installed heights are correct for these springs. Side note, the installed spring heights in the Alpine Series V workshop manual are incorrect! Use the heights in the Hunter range manual (WSM 149) instead. Last time I rebuilt the engine in the Alpine, I was surprised at how much “glitter” was left at the bottom of my drain pan after the first few oil changes. This time around, I figured that it might be a good idea to install a magnetic drain plug and try to catch some of the ferrous swarf that collects in the oil after a fresh rebuild. My hope is that if some particles stick to the magnet, fewer are left to circulate through the oil system and cause rapid wear or other damage. Enter Dimple. Dimple makes magnetic drain plugs for a wide variety of threads and applications. While there isn’t a 1/2″ BSP plug listed on their website, I e-mailed them and one is available. I ordered one and it arrived a few weeks ago. The plug has a very strong magnet permanently mounted in the center of the plug. It’s so strong, in fact, that it can be challenging to install the plug because it wants to pull to one side and stick to the drain pan instead! One other quirk is that the head of the plug is a 17mm hex, meaning that a metric socket is required to install it. I try to keep metric tools away from the Sunbeam, but unfortunately an 11/16″ socket is a very loose fit. 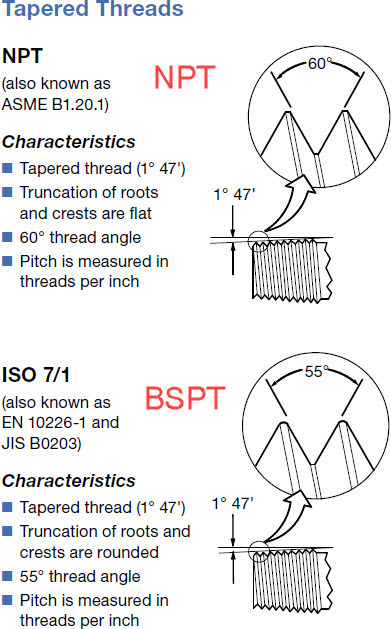 Why is the head metric, while the threads are English? 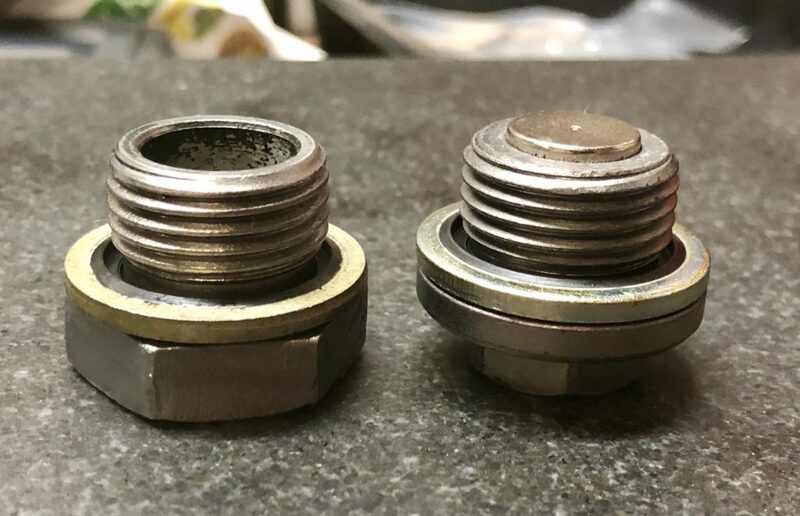 I suspect that Dimple does this to simplify production – they probably machine the same 17mm hex on all of their plug “blanks” first, and then machine the threaded portion as needed for many different applications. It would be nice if they used a standard size hex so that I don’t have to carry a metric socket in my car just for the drain plug! The plug comes with a Dowty-style rubber bonded sealing washer installed, which should help prevent leaks. 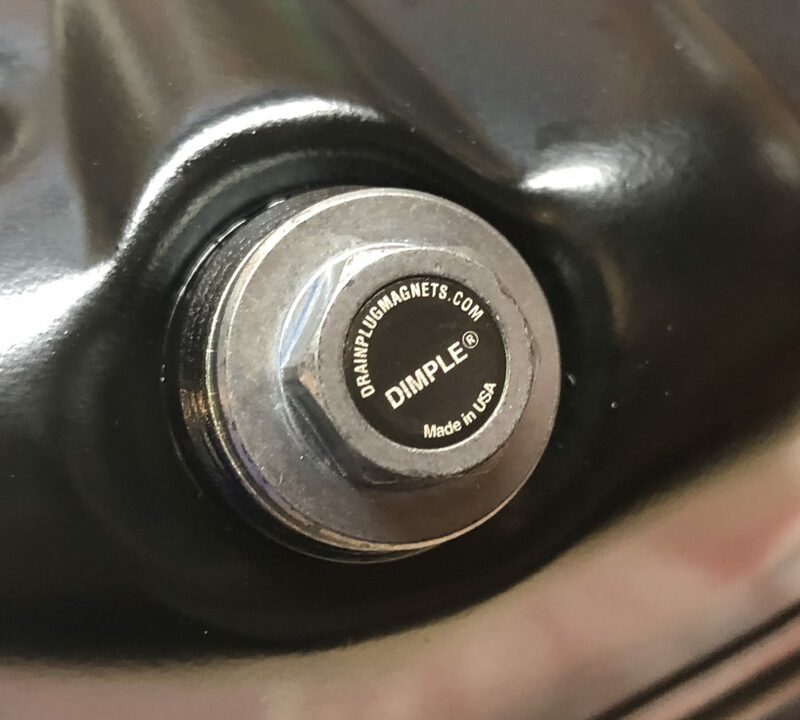 The Dimple magnetic drain plug costs about $40 shipped within the US. That’s not cheap, but it feels like cheap insurance compared to the cost of a rebuild. As I mentioned, the 1/2″ BSP plug is not available on their website, so you’ll have to send an email to info@drainplugmagnets.com to place an order. 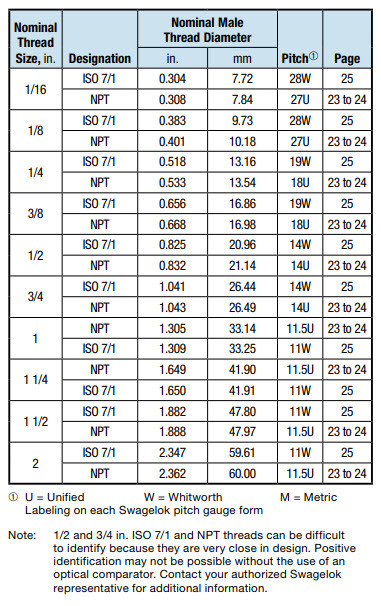 Ask for a 1/2″ BSP plug (part number SPL 1/2″ BSPP). 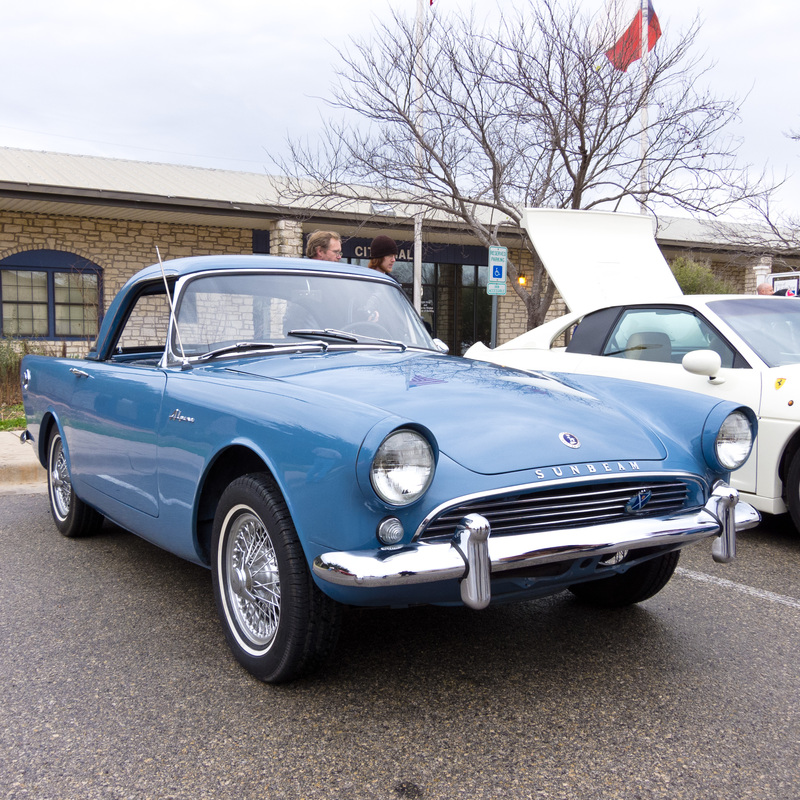 Over the past few years, in the process of getting our car back on the road, I’ve collected a lot of information about the Sunbeam Alpine from various books, websites, forums, and my own hands-on experience. Last week I created a wiki page for the Sunbeam Alpine so that I can make this information available online. My hope is that it will be useful to others who are repairing or restoring these unique cars.